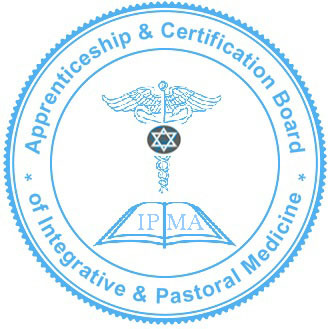 Apprenticeship & Certification Board of Integrative & Pastoral Medicine®, is responsible for issuing Certification Marks and Regulating the Following Integrative Pastoral Medicine Professions. Licensed, Registered and/or Commissioned Doctor/Physicien* of Integrative Pastoral Medicine®, Integrative Pastoral Medicine®, Pastoral Medicine®, Doctor of Pastoral Medicine®, Integrative Pastoral Medicine Therapist®, Pastoral Medicine Therapist®, Integrative Pastoral Therapist®, Pastoral Therapist®, Integrative Pastoral Consultant®, Pastoral Consultant®, Integrative Pastoral Medicine Consultant®, Pastoral Medicine Consultant®, Integrative Pastoral Care®, Integrative Pastoral Naturopathic Medicine®(or the usage of Homeopathic, Eastern Medicine, Ayurvedic Medicine, Oriental Medicine, Traditional Chinese Medicine in place of Naturopathic as part of the combination) are all Registered Certification Trade-marks of the Apprenticeship & Certification Board of Integrative and Pastoral Medicine under the Auspices of the Ha' Yisrayli Torah Brith Yahad®. With explicit reservation of all rights, without prejudice. The Certification Marks as used by Authorized Persons is intended to Certify that an individual has met all professional, educational, clinical skills & spiritual/Moral qualifications & requirements of the Apprenticeship & Certification Board of Integrative & Pastoral Medicine and all other legal names as registered, which is authorized by the International Mizrahi Netzarim Rabbinical Council of the Ha' Yisrayli Torah Brith Yahad, a United Nations Global Compact & Economic & Social Development Division NGO affiliate, an Ecclesiastical Jurisdiction, Hebrew Medical Order & un-incorporated Non-profit Tax Exempt Religious Association, and is licensed to provide services as a Physicien*/ Doctor/ Therapist/and/or Consultant of Integrative Pastoral Medicine based on level of competence. THE SCIENTIFIC EVIDENCE & FAITH BASED APPLICATION & PRACTICE OF NATURAL THERAPIES FOR THE MAINTENANCE OF PHYSICAL, MENTAL & SPIRITUAL WELLBEING & THE PREVENTION OF UNNATURAL DESTRUCTIVE OCCURANCES (SPIRIT-SOUL & BODY); UTILIZING CLINICAL BASED METHODS & ADMINISTERING OF NATURALLY OCCURING SUBSTANCES & OTHER NATURAL THERAPUETIC MODALTIES; DISCERNING & ASSESSING PHYSIOLOGICAL, PSYCHOLOGICAL & SPIRITUAL FUNCTIONS USING VALID CLINICAL DIAGNOSTICS & PASTORAL, NATUROPATHIC, PSYCHOTHERPY & COUNSELING..
Assesses, discerns, administers and provides integrated pastoral medical care to patients, using system of integrative practice that bases administration of physiological, psychological and spiritual functions and abnormal/imbalanced conditions on edenic laws/natural laws governing the human body and spirit; utilizes physiological, pastoral, psychological and mechanical methods, such as air, water, light, meditation/prayer, heat, earth phytotherapy, kosher food and herb therapy, pastoral psychotherapy, electrotherapy, physiotherapy, missionary medicine that may require minor and orificial healing of wounds(minor surgery), mechanotherapy, naturopathic pastoral corrections and manipulation through the laying on of hands, and natural methods or modalities, providing hebrew midwifery and natural birth support and techniques, together with natural medicines, natural processed foods, and herb and natures remedies. excludes major surgery, therapeutic use of x ray and radium, and the use of drugs and controlled substances, except those assimilable substances containing elements or compounds hich are components of body tissue and are physiologically compatible to bodily processes for maintenance of life. Charitable outreach services, namely, providing counseling services in the field of health & religion; Spiritual counseling; Providing both in-person and on-line holistic spiritual counseling services; Providing in-person holistic health care services; Alternative medicine services, Providing news and information in the field of medicine; Counseling services in the fields of health, herbalism and lifestyle wellness; Mental health counseling and psychotherapy as it relates to relationships; Nutrition counseling. Based on education, skills and clinical training, the following Commisions, Registrations or Licensures will be issued after review. Please note for each Licensed level, the applicants Board specialty and expertise will be listed along with the Pastoral License, Registration or commission(i.e. Licensed Pastoral Therapist with a Focus in Therapeutic Massage; Commission Pastoral Health Consultant, specialty Natural Health Consultant; Integrative Pastoral Medicine Doctor, specialty Chinese Medicine etc.. ). All Board Certified practitioners who engage in dispensing, prescribing or administering Herbal Medicines, Nutritional Medicine or any Homeopathic Medicine or who gives advise, recommendationsare or pastoral counsel of the same is required to adhere to the Board of Examiners evidence based pharmacology Certification Level Requirements( See below in right column for information) & official code of Ethics & regulations.. Certificaiton courses are taken via an approved Institutions(This is a seperate process from Certification Mark Licensure). Board Certifications are only issued the first year along with Licensure approvals only if applicant has taken the required Phramacology Certication Course or recieved an equivelency waiver based on review of courses taken from other institutions. If Pharmacology Certification Requirements are not met at the time of Application for Licensure and Membership, then Board Certification will be issued After completion of such requirements. Board Certification requirments must be met within 6 months of first year of Licensure. Board Certification Fee's are a separate fee from licensure and must be paid Bi-annually on or before the date of issue in order to remain valid and active. Licensures are renewed annually. This Licensure & Board certification(Certification Mark) level is the Kingdom recognition for Western & Eastern medicine "Scientific & Evidence based" Clinically Trained Healthcare Professionals who are licensed by the State(i.e. MDs, NMDs, Acupuncturistts/OMDs, IMDs, DO's, DCs, Nursing, Advanced Midwifery, Physical Therapists, etc). Candidates are certified to be quality, cutting edge, well prepared, educated and clinically effective in providing Integrative Family Life Care® & Integrative Pastoral Healthcare Specialty Services. If candidate is not a Licensed MD or DO, Acupuncture Physician, or Chiropractor but is another licensed or registered allied healthcare provider, then they must be Post Graduates of a College or Institution, foreign or domestic, that is legally registered in the State or Country of origin & is authorized to issue Academic or Technical Degrees & Diplomas & operates within the International Healthcare Community Network according to accepted standards or those who have completed the Clinical Program through an approved clinical apprenticeship program under direct training of qualified Licensed/Board Certified Healthcare professionals that are competent to teach and impart the knowledge and clinical skills of the specialty the student is aspiring to achieve. CHY-Open International University will be available to offer supplemental training for all allied healthcare professionals wishing to expand their knowledge & Incorporate Pastoral Medicine or Pastoral Counseling intot heir practice as the Doctorate level, which is a form of pastoral care. Candidates must have completed basic under graduate education courses in English, Communications, Humanities, College Mathematics, pre-med clinical courses or approved undergraduate Health Sciences Courses, Diplomas or Certifications. *1000-1500 hours Clinical apprenticeship, Externship or residency. *First Aid and CPR Certifications should also be current. For Naturopathic Physicians( or Ayurvedic, Oriental Medicine, Integrative Medicine or Homeopathic Medicine Physicians) Primary Care Education or Medical Specialty Equivelant requirements: Residency/Clinical Rotations acquired through approved Clinic, Hospital, Missionary or Humanitarian Medical Mission or Apprenticeship during the duration of the training program, having chosen & trained under either of the Scientific Paths of Naturopathic, Ayurvedic or Oriental Medicine( i.e. TCM, Unani, Siddha or Islamic Medicine) tracts covering:Primary Care, Internal Medicine, Cardiology, Hematology & Oncology, Minor Surgery for Missionary Medicine, Tropical or Rural Medicine, Pediatrics, Gynecology-Maternity, Geriatrics & Assessment of Basic, Extended, Treatment Skills Comprehension or equivelant education. Allopathic Doctors(MD's, DO's, MBBS, Surgeons) must complete an additional 200 Hours of Integrative and/or Natural Medicine Sciences/Clinicals from a legitimate evidence based Institution, plus 150 hours pastoral medicine certification to apply for licensure. Must qualify via exemption based on academic equivelency or take and Pass the Part IV Integrative Pharmacology Certiication IPMLEX Examination. Any Deficiencies can be met by enrolling into Distant Learning Apprenticeship program to meet eligibility requirements. No More than 25% of course work can be done by correspondence/online(for Doctorate & Physician Level Licensees). Distant Learning Apprenticeship is not the same as Correspondence or online training. No Clinical courses can be taken by correspondence or online. If you have a Doctorate Degree and all coursework is through correspondence/online training then please refer below to other Licensure options. Pastoral Medical Doctorate Level I-Those who have Doctorate Level Certifications in Specialties such as Napraphathy, Chiropratic, Acupuncture, Physiotherapy, Psychothrapy ect, will obtain a Doctorate in Pastoral Medicine as a Specialty. Pastoral Medical Physicien Level II- This is reserved for candidates whose concentration is in evidence based Naturopathic Medicine, Western Allopathic Medical Doctors with 300 Hours of additional Natural Medicine Training(or Integrative Medical Doctors), Oriental Medicine(Chinese, Ayurvedic, Unani, Siddha, Islamic, Eastern Talmudic) or Spagyric-Homeopathic Medicine with a strong emphasis and focus in Internal Medicine, Family Medicine or Primary Care(Integrative Family Life Care®) with equivelent health sciences education as a Western trained Allopathic MD with Residency requirements met etc. or any other Concentration that focuses on Primary Care/Internal Medicine. Diploma Program: Those who become Licensed Integrative Pastoral Medicine Physiciens or Doctors are Eligible to take the optional Diploma Course in Integrative Family Life Care® (Faith based & Evidence based Equivalent to Primary Healthcare or Family Medicine) or any other Post graduate diploma program available to further ones skills and knowledgei. Note: Whiile Lic Acupuncturists is a form of oriental medicines, this profession is considered a Specialty as opposed to Oriental Medical Doctors(OMD-P) which is a Primary Care profession in regards to licensure & definition of IPMA. Acupuncturist who meet the requirements of Acupucture Physician, will be considered as Oriental Medical Doctors. Registered Doctor of Integrative Pastoral Health(IHD-P): This registration & certification level is the Kingdom recognition of those who hold Doctorate level degrees in Traditional and/or Indigenous Natural health(i.e Naturopathy, homeopathy, african holistic health, Ayurveda, Nutrition etc) as opposed to State Licensed Practitioners as enlisted in Doctor of Integrative Pastoral Medicine. This licensure is also for forieng trained Naturopathic & holistic practitioners who may not be able to obtain a state licensure despite having proper advanced education as per the Doctor of Medicine Licensure. Applicant of this certification will have a stronger focus on Pastoral Care or Humanitarian/Missionary Medicine instead of Primary Car and Clinical based healthcare as practiced under State Licensures, or a combined education but with less clinical skills training and education in evidence based training compared to the Physician/Doctor Level, and more indigenous, traditional health.. Candidate mst also Pass the required I4 Part PMLEX Exam. (All four Parts are Mandatory.. Part 1 and 2 exam is included with the Application fee/ Part 3 and 4 are twp seperate fee's). Note about non-medical undergraduate degrees: Those who obtain Doctorate level natural health degrees with no undergraduate related degree or course-work will not qualify for this Registration...(i.e. Undergraduate and Masters degrees in Technology, Architecture, Computer Sciences, Engineering or any non medical field who then obtain Doctorate in Naturopathy or Nutrition does not meet the 4000 clock hours)..We will not count such Degrees towards Healthcare Education Credits.. NO EXCEPTION!!! Registered Doctor of Clinical Pastoral Care/Doctor of Integrative Pastoral Care -4000 Clock Hours/Doctor Level Degree Focused Education is more Religious & Spiritual Centered with at least 100 clock hours of Holistic Health, with a concentration in Pastoral Care, Religious Counseling & Theology from a recognized Religious Institution. Ideal for Rabbis, Priests, Pastors, Imams, Chaplains, Pastoral Counselors and Licensed Ministers. Bachelor/Masters Degree in evidence based Health Sciences, orthomolecular medicine/Nutrition, Dietetics, Naturopathic Medicine, Ayurvedic Medicine, Oriental Medicine, Public Health or other related field with 500 hours(6months) of clinical training and 100 hours of Pastoral Care. Licensed Practical Nurses or Registered Nurses who have also taken 1000 hours of evidence based Natural Health Sciences or 500 hours with BSN and 100 hours of Pastoral Care. Registered/Certified Clinical Pastoral Medical Assistant(Clinical Missionary Medicine Assistant)-Must have either an Associates of Clinical Medical Assisting or Diploma from a legal institution or have completed minimum of 1000 hours of combined clinical Medical & Nursing Assisting, Medical Office Administration, Phlebotomy, EKG, IV therapy, Natural Health & Nutrition, Spirituality & Health & First Aid/CPR and at least one course in Humanitarian or Missionary Healthcare(can be taken via our affiliates if lacking) training under apprenticeship or traditional education(Many of our Licensees have also qualified for the Secular Clinical Medical Assistant Certification through National Healthcareer Association. We work to help our Licensees to obtain this credential to further their careers). Doctor of Professional Pastoral Counseling/Doctor of Professional Pastoral Psycho-therapy(D-PPC, PsyD(PPC)-- Doctorate Level In advanced pastoral psychology with clinical supervision. Please note: we do not agree that Christian Psychology adequately prepares a person to provide effective Counseling to a diverse audience. While Pastoral Psychology is faith based, one should have a general Pastoral Psychology or Pastoral Counseling Degree that is applicable interfatih wise and that does not contain "Christian" modification. If you have a Christian Psychology or Counseling Degree, we will consider registering you as a Profressional Pastoral Therapist® or you may take appropriate classes to upgrade your Education to obtain this certification. Clinical Pastoral Mental Health Therapist/ Integrative Pastoral Medicine Therapist:: Must have a minimum of 2400 Hours/Master Degree of Mental Health or related education. Master Degree in Pastoral Counseling, Pastoral Psychology, Temperament Psychology, Health Psychology, Psychotherapy, Family Marriage Counseling or any other Behavioral Health Sciences. 100 hours of Pastoral Care education. Professional Integrative Pastoral Midwifery or Professional Integrative Hebrew Midwifery for professionals of the Jewish Community- Traditional Midwives with a minimum of 4 years of apprenticeship & clinical training(please see NARM for requirements as we follow a similar tract) to include 2 years of theoretical training(2000 hours) at least 1 year of clinical training(1000 hours) & 1 year of evidence based Natural Medicine/Healthcare training(1000 hours) & 100 hours of Pastoral Care Education or who have obtained a 4 year Bachelors of Midwifery & Natural Health or Equivelant. 4100 hours total from a legally registered Institution for midwifery or via apprenticeship from a valid Certified Professional Midwife via NARM , OBGYN, IPMA or legally recognized foreign Midwifery apprenticeship program. Naturopathic Physicians, Doctors of Oriental Medicine, Ayurvedic Medicine, Allopathic Medicine or Integrative Medicine practitioners, who meet all of the qualifications for "Licensed Doctor of Integrative Medicine Level" who also obtains and additional 1000 hours of Apprenticeship under a Licensed or Certified Professional Midwife(via Narm or IPMA, OBGYN) or legally recognized foreign Midwifery apprenticeship program(including missionary via missionary or United Nations NGO programs) . Licensed Integrative Hebrew Midwife: Those who have dedicated their lives to serving the Hebrew-Jewish Community & have met all qualifications, education, apprenticeship and training to include Jewish faith based education & meet the above requirements. Licensed/Registered* Integrative Pastoral Health Therapist -For Massage therapists and Physical Therapist. Graduates with at least a Associate Degree or equivalent (i.e. Diploma) or a Bachelors in Massage Therapy, Physical Therapy, Asian Body Work, Beauty Therapist, or other Massage Diplomas with clinical training (2000 hours ot 60 credit hours total minimum) with 50 hours of Pastoral Care or Religious studies. Pastoral Health Consultant with focus in Natural Health- Entry Level Must have a Minimum of 700 Hours in Natural Health Education or have obtained a recognized Natural Health Consultant Diploma, Chinese Herbalism Diploma or other health related diploma from a legal institution that is recognized by the Herbalist Guild or other legitimate Certification/Registration Board or who has completed an Apprenticeship through a qualified Herbalist who is certified by the Herbalist Guide or legitmately recognized Certificaiton/Registration Board and 150 hour pastoral Medicine certification. Medical Chaplain for Doctors/Physician of Integrative Pastoral Medicine-this is an additional Certification that is specifically intended for those Pastoral Medicine Doctors/Phyicians, who are not licensed MDs or NMD's with hospital priviledges, who intend to visit their patients who may become hospitalized for the purposes of coordinating a holistic recovery or recommending an integrative healthcare approach during and after their stay in a Hospital setting and for those who offer alternative services to those who are terminal and placed in a hospice care in which conventional medicine is no longer an option for saving or maintaining life. This Certification gives Pastoral-Client Priveledges in a chaplain setting and removes the need to obtain Hospital Physician Visitation rights. All services rendered will be under the Pastoral Medical-Pastoral Care mandate. This empowers you to be able to offer equivelent quality care and support to your patient/clients as any other Primary Care Physician or Medical Specialist for those patients who rely only on Alternative Medicine Care!! Board Certified Doctor of Integrative Missionary Medicine or Doctor of Integrative Humanitarian Medicine BC-DIIM, BC-DIHM,-Doctors, Physicians(MD, NMD, I-MD, EMD, PMD, OMD, DO, DN, DC etc), Nurses & Midwives with Doctorate Level Training in Naturopathic, Eastern, Oriental, Homeopathic, Homotoxicology or Integrative Medicine with at least 1 year of training in Humanitarian, Disaster relief, Rural or Tropical Medicine, who work in a Humanitarian, Community Health or Not for profit Capacity for impoverished or low income families, disaster areas or emergency medicine. Must have all relevant CPR/First Aid Certifications up to date. Licensed Master Interfaith Chaplain or Master Netzarim Chaplain- For Master Netzarim Chaplain, One must complete a Bachelors and Masters Level Training Course through Cushite Hebrew Yeshiva or an approved Legitimate Theological Institution that teaches the foundation to Orthodox Mizrahi Netzarim Culture and Hebraic roots as the Core foundation. For Master Interfaith Chaplain one must graduate with a Masters Level Training from either Cushite Hebrew Yeshiva or an Islamic, Buddhist, Hindoo, Jewish or other mainstream Theological Institution that teaches interfaith studies. Institutional Members- Those Educational Institutions, Colleges, Universities or Apprenticeship Programs that are recognized as offering quality evidence based Alternative Medicine, Humanitarian Medicine and Residency Training. Must be legally operating in the State or Country of Origin & authorized to issue Degrees, Diplomas, Certificates or Certifications.